Intermediate level quiz about the harmonic Butterfly pattern. 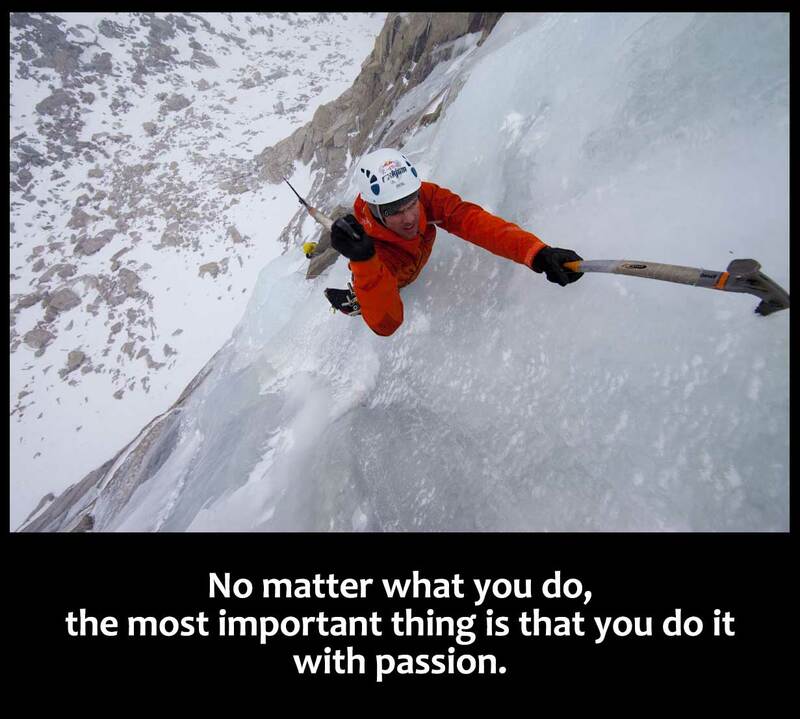 This is an innovative online quiz so you can quickly learn and/or verify your trading skills. Butterfly allows to spot the exact end of the swings or trends. Butterfly D point is the best place to enter the market. 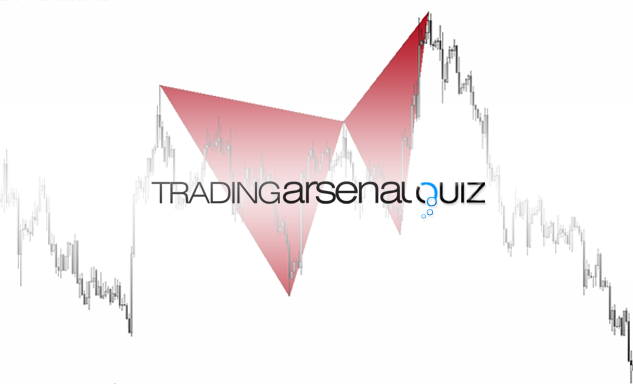 This quiz covers the practical aspects of this pattern and the entry. It takes in average 9 minutes to complete this Quiz. Answer at least 23 questions (or 75%) correctly to pass. The Butterfly pattern can be treated as a leading indicator that helps to determine where and when to enter a position. The Butterfly pattern may help to identify potentially high-probability trading opportunities, in nearly every market and timeframe. The Gartley pattern is an the internal pattern, whilst the Butterfly is an external pattern. Bryce Gilmore defined, in his book, the strict trade management rules for trading the Butterfly pattern. 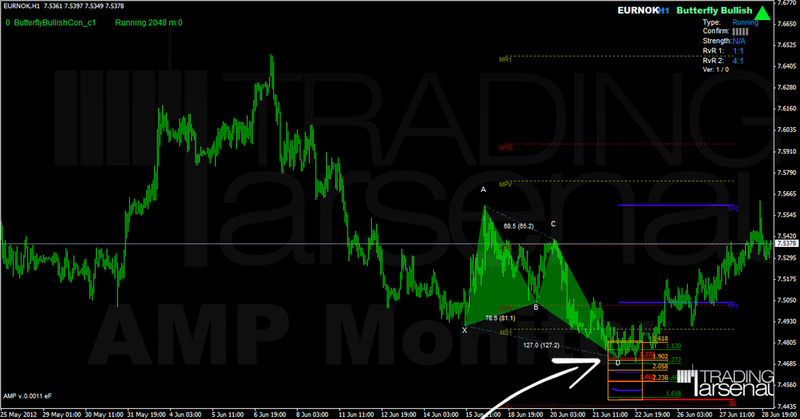 A Potential Reversal Zone (PRZ) is not used for trading the Butterfly pattern:. Observing the structure of CD swing in the Butterfly pattern we can split Butterfly patterns into Slow and Aggressive versions. Aggressive versions are more common on Forex market. This just shows if you have provided all the answers or something is still missing. Please proceed to the next page to access your quiz result. If you wish, you can still review and modify your choices. - you can provide your email address so we can review your responses and send you a detailed analysis of your quiz responses. Based on your score, our team of harmonic-experienced traders may include some additional suggestions and trading tips in the feedback. If you liked the Quiz and learned something new, please help us to promote it on Facebook and Twitter. It costs you nothing but means much to us. You can also publish the direct link to this quiz (including your referral id). You received it in the email together some more details on the Referral Program. ...anyway, in both cases, to say thanks we will also grant you access to our special,yet-unreleased materials (more details will be provided by email). This Butterfly pattern related quiz is one part of a three-part series. Check out the harmonic Butterfly pattern Intermediate and Advanced level quizes. Direct links to be provided to people who successfully complete this Beginner level Quiz. You may also like to check the Gartley quizes, the available beginner, intermediate and advanced levels. 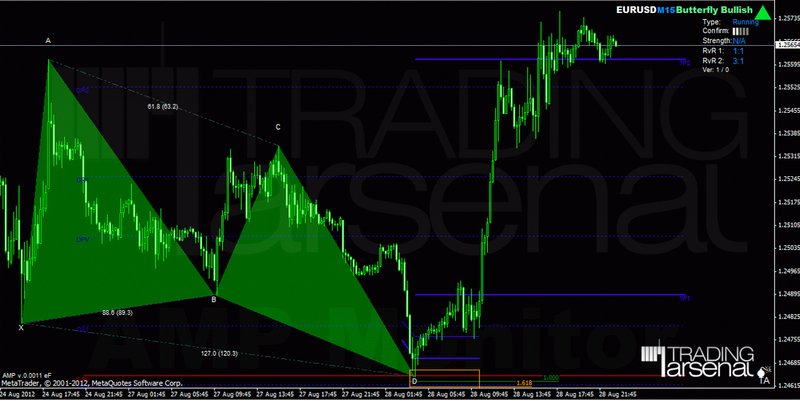 TradingArsenal is Community of harmonic trading, price patterns and market timing experts. This is where the pattern recognition indicator korHarmonics and AMP search engine come from. After many years spent researching Forex charts, we concluded that repetitive harmonic market fractals, patterns with precisely located price levels and timed entries is the way to GO. Our harmonic trading videos. Confirmation methods explained.